This past week Minotaur published Every Broken Trust, the latest book from my Sisters In Crime pal, Linda Rodriguez. 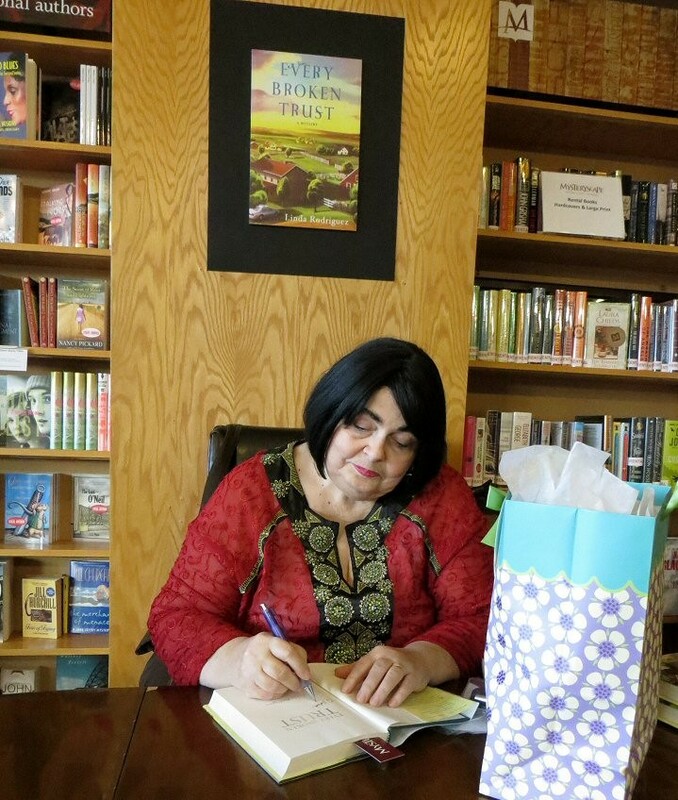 Last night the Mysteryscape bookstore in Overland Park, Kansas, hosted Linda’s launch party. I arrived late, but Linda was still on hand to sign a book for me. I haven’t yet read the book, having bought it only last night, but I believe one of Linda’s favorite reviews of the book is at the blog, Criminal Element, and she offers the first chapter of the book at her own blog, Linda Rodriguez Writes.